Echolocating bats adjust the time–frequency structure such as sweep rate and pulse interval of their sonar calls when they move from open space to vegetation-dense environments. 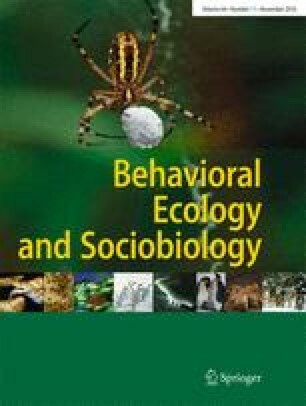 Emitted call intensity is equally important for echolocation, but adjustment of signal intensity to different habitats has never been systematically studied in any bat species. To address this question, we recorded sonar calls of the Neotropical trawling insectivorous bat Macrophyllum macrophyllum (Phyllostomidae) at three sites with different obstacle densities (clutter). We found a clear correlation between emitted intensity and degree of clutter, with intensity proportional to decreasing clutter. In highly cluttered, semicluttered, and open spaces, M. macrophyllum emitted calls with mean source levels (sound pressure level (SPL) 10 cm from the bat’s mouth) of 100, 105, and 111 dB SPL root mean square (rms), respectively. To our knowledge, this is the first documentation of dynamic intensity adjustments in bats. Phyllostomid bats were previously considered silent, but the 111-dB SPL rms emitted by free-ranging M. macrophyllum in open space is comparable to output in aerial insectivorous bats from other families. Our results suggest that the acoustic constraints of habitats are better predictors of call intensity than phylogeny and therefore likely to be major drivers shaping the sonar system of bats in the course of evolution. Research was funded by the Danish Natural Science Research foundation (to A. S. and S. B. ), the Wissenschaftskolleg zu Berlin (fellowship support of A.S.), and the Smithsonian Tropical Research Institute (STRI) and the German Science Foundation (DFG; to E.K.V.K.). We thank Jakob Christensen-Dalsgaard and John Ratcliffe for comments on previous manuscript versions and two anonymous reviewers for helpful suggestions. We also thank Christian Brandt for positioning software, Ulrik Nørum for help with statistic analysis, and STRI and Isla Barro Colorado staff for excellent research facilities. Research complied with laws of Panamá and IACUC regulations of STRI.